How to enable video for internal point-to-point calls via web? AT&T enables supported Polycom desk phones and detachable cameras to make internal extension to extension calls with video. 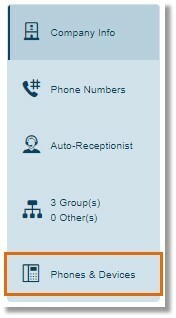 This is an on-demand feature available to AT&T Office@Hand Premium and Enterprise subscribers. Note: Video calling is NOT supported when specific features are invoked or when calls are created using types of line such as SLG, Common Phone (without Hot Desk), Limited Extension (without Hot Desk). 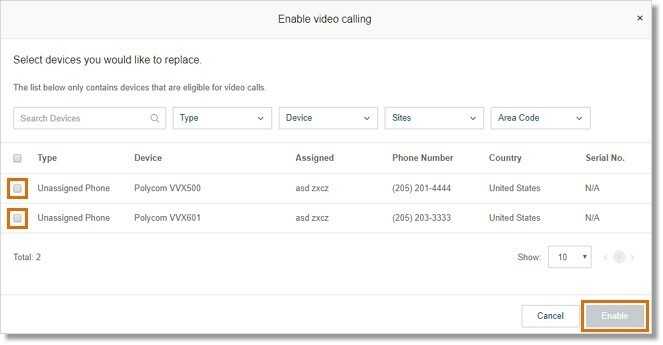 Click the Polycom phone that needs to be enabled for video calling. Check the devices that need to be enabled for video calling, then click Enable.